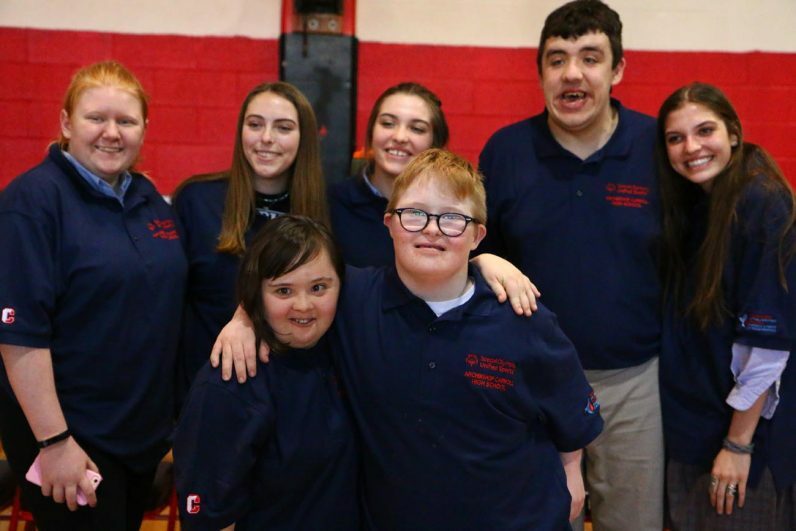 The Archbishop Carroll-St. Katherine Day School bocce players pose for a team photo. Members of the Souderton Area High School unified bocce team meet the team from Archbishop Carroll-St. Katherine Day School. 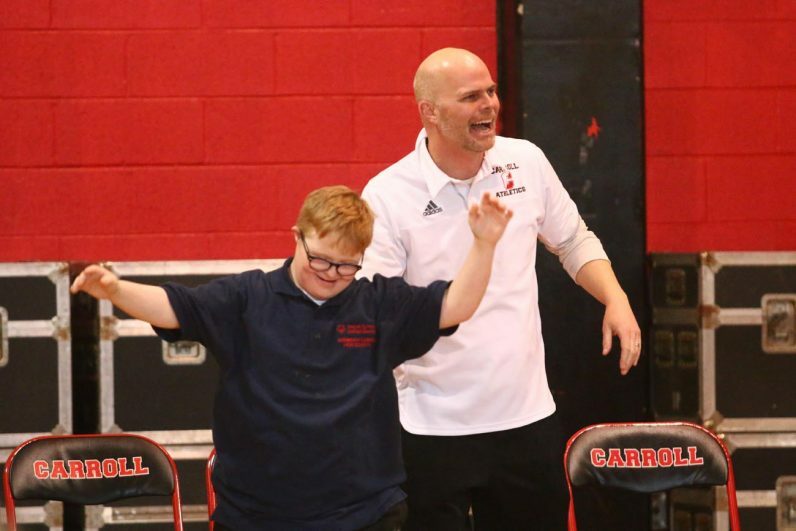 Matthew Rodgers takes his turn at the game. Archbishop Carroll-St. Katherine Day School team coach Ed Scanlon celebrates with his player, Matthew Rodgers, in a Jan. 23 match of the Unified Bocce league against Souderton Area High School. 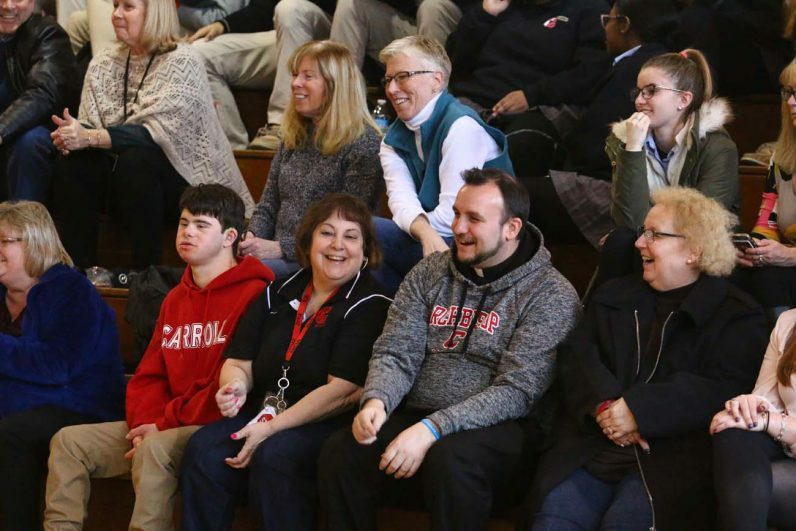 Parents and members of the Archbishop Carroll community, including Father Mike Speziale who led a blessing before the event, enjoy a game of bocce. 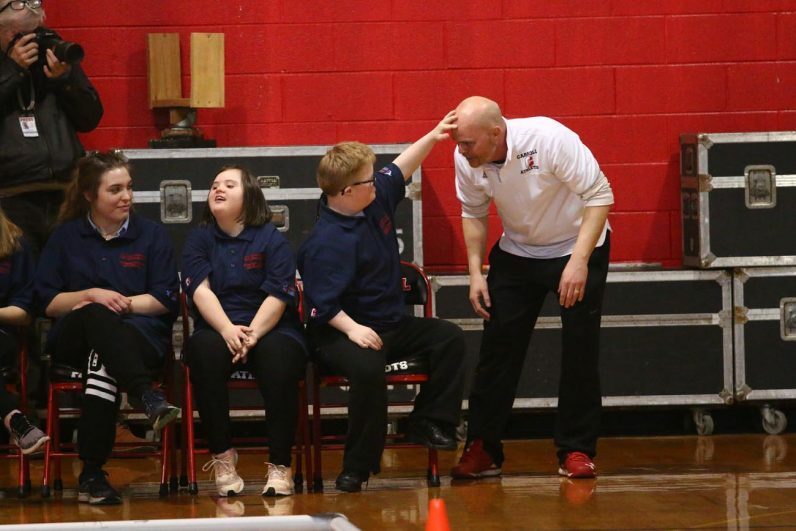 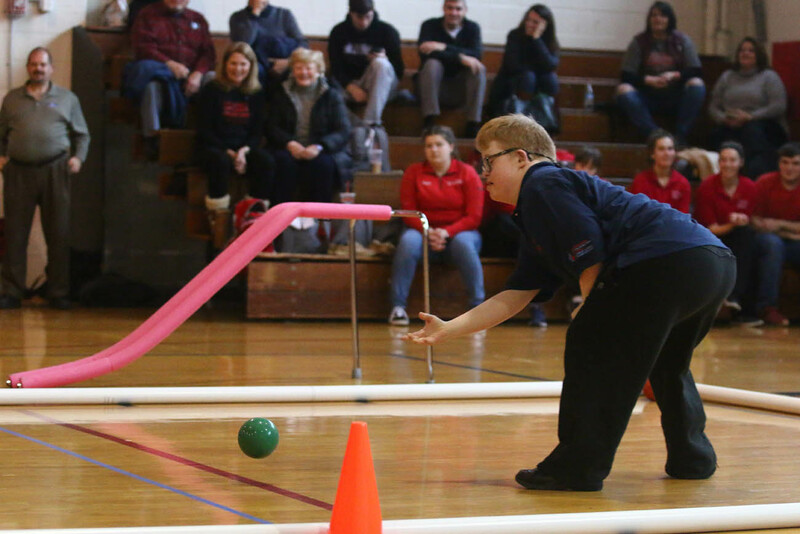 Matt McKeon of the Archbishop Carroll-St. Katherine Day School unified bocce team prepares to roll during a Jan. 23 game at against Souderton Area High School. 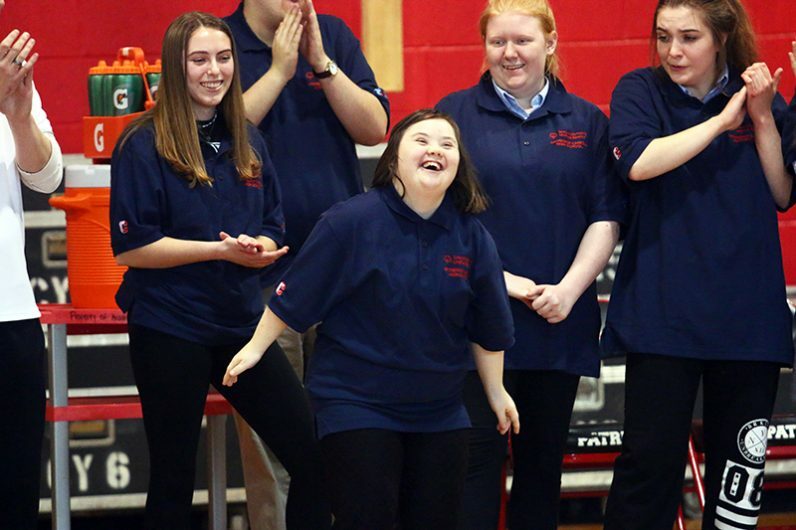 The unified team is the first offered by Special Olympics of Pennsylvania at a private or parochial school. 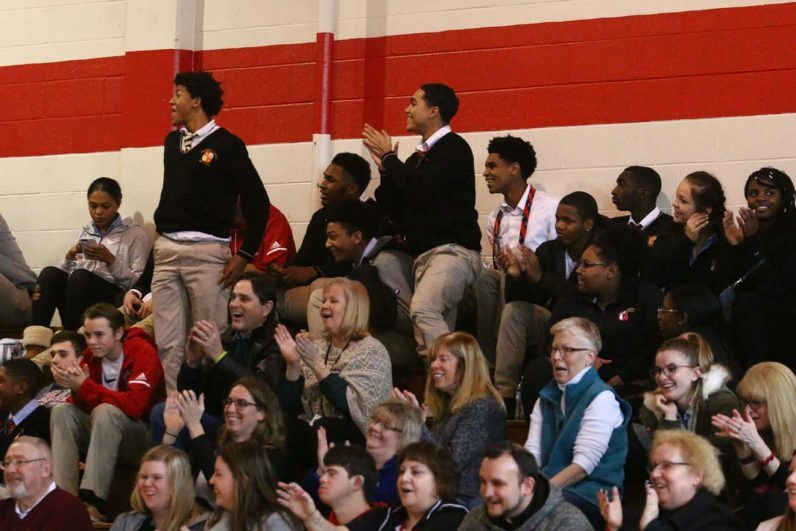 The crowd of Carroll students and excited family members join in the fun. 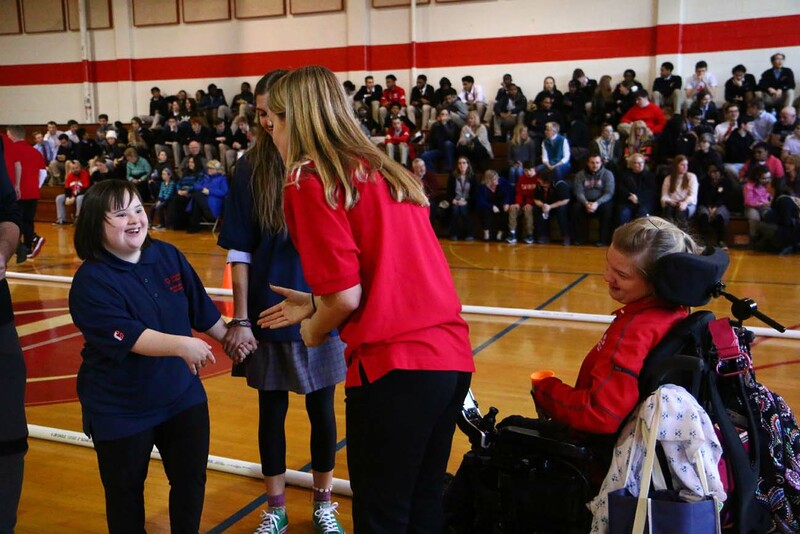 Rose “Muffy” Tulskie of St. Katherine’s (center) leads the cheers at a Jan. 23 unified bocce match at Archbishop Carroll High School. 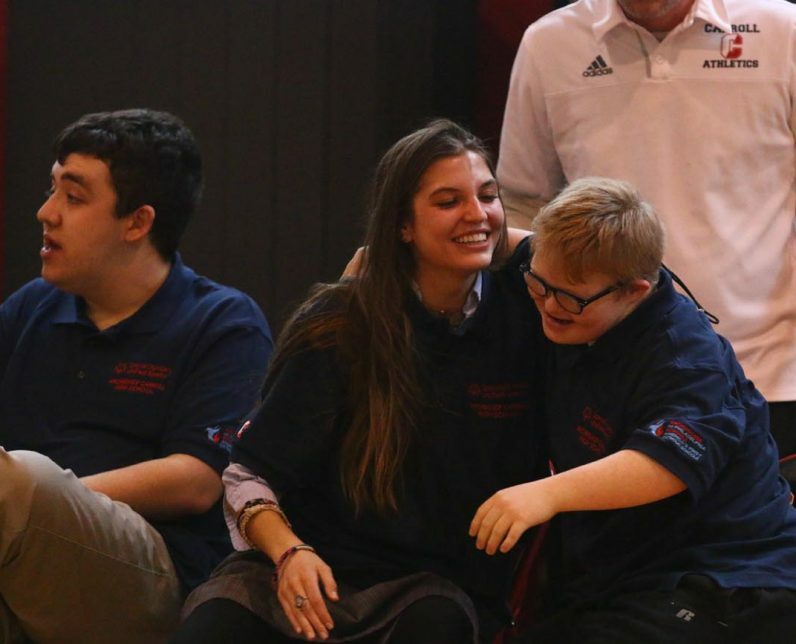 Matthew Rodgers shares the good times with his teammates. 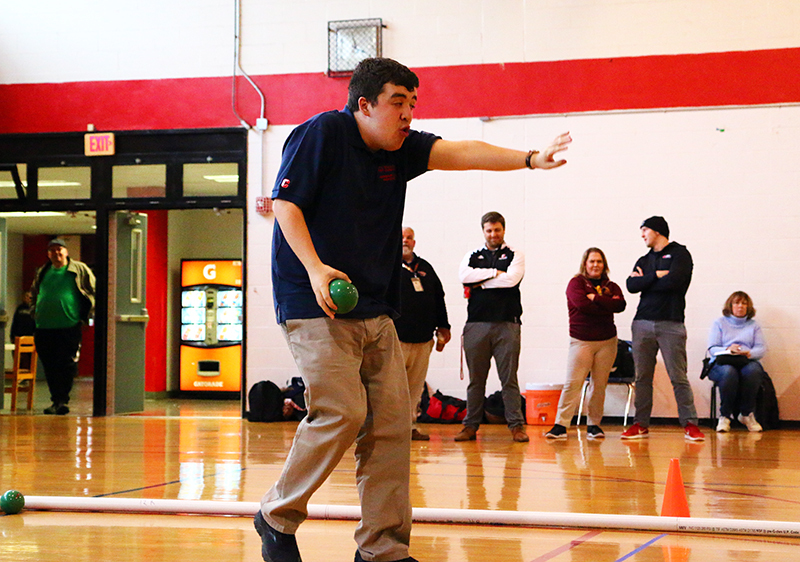 Coach Ed Scanlon satisfies Matthew Rodgers’ curiosity during the game.